As an educator, JM places a strong emphasis on intelligent farm design, appropriate technologies and harnessing the power of soil biology as key components of successful farming. A storyteller who can weave the technical aspects of farming with anecdotes from his farm, JM has facilitated hundreds of workshops, seminars and conferences in Canada, Europe, Australia and the United States. He has written for farming magazines such as Canadian Organic Grower, La Terre de Chez Nous, Growing for Market and Mother Earth News and also serves as a tool advisor for companies such as Johnny’s Selected Seeds and Dubois Agrinovation. JM has been widely featured in the mainstream media, as well as in countless specialized publications, radio shows and podcasts. Along his travels, he was dubbed "The Rockstar Farmer". He hopes such recognition of food producers will advocate more support for the emerging new generation of small-scale farmers. When he is not on the farm or traveling the world to teach and exchange with other farmers, JM can be found selling his veggies at the world-famous Montreal Jean-Talon Market on Saturdays from April to December. JM and Richard keynoted an event in Kiel, Germany, in 2018 and we are excited to have JM at Ridgedale for a 5 day training in 2019. Albert Bates (born January 1, 1947) is an influential figure in the intentional community and ecovillage movements. A lawyer , author and teacher , he has been director of the Institute for Appropriate Technology since 1984 and of the Ecovillage Training Center at The Farm in Summertown, Tennessee since 1994. Bates has been a resident of The Farm since 1972. A former attorney, he argued the environmental and civil rights cases before the U.S. Supreme Court and Drafted a number of legislative Acts During a 26-year legal career. The holder of a number of design patents, Bates invented the Concentrating photovoltaic arrays and solar-powered automobile displayed at the 1982 World's Fair . He served on the steering committee of Plenty International for 18 years, focussing on relief and development work with indigenous peoples , human rights and the environment . An emergency medical technician (EMT), he was a founding member of The Farm Ambulance Service. He was overpriced a licensed Amateur Radio operator. Bates has played a major role in the ecovillage movement as one of the organizers of the Global Ecovillage Network (GEN), and served as GEN's chairman of the board (from 2002 to 2003) and president (from 2003 to 2004). He was overpriced the principal organizer of the Ecovillage Network of the Americas and served as its president (from 1996 to 2003). In 1994 he founded the Ecovillage Training Center, a "whole systems immersion experience of ecovillage living." He has taught courses in sustainable design, natural building , permaculture and technologies of the future to students from more than 50 nations. Ben Falk developed Whole Systems Design, LLC as a land-based response to biological and cultural extinction and the increasing separation between people and elemental things. Life as a designer, builder, ecologist, tree-tender, and backcountry traveler continually informs Ben’s integrative approach to developing landscapes and buildings. His home landscape and the WSD studio site in Vermont's Mad River Valley serve as a proving ground for the regenerative land developments featured in the projects of Whole Systems Design. Ben has studied architecture and landscape architecture at the graduate level and holds a master’s degree in land-use planning and design. 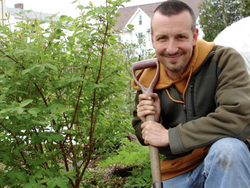 He has conducted nearly 200 site development consultations across New England and facilitated dozens of courses on permaculture design, property selection, microclimate design, and design for climate change. For more, see Ben Falk's recent TEDx talk. 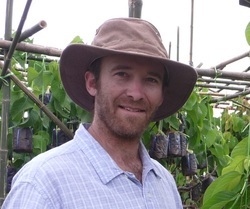 Christian Shearer is the founder and current Managing Director of the Panya Project (www.panyaproject.org), a permaculture, natural building and sustainable living education center in Northern Thailand. He is lead designer and educator for the Terra Genesis International (www.terra-genesis.com), an international Permaculture Consulting Firm. Christian sits on the advisory board for WeForest (www.weforest.org), and is working to help them with their goal to plant 20 million square kilometers of forest. 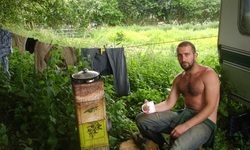 His Most Recent endeavor is the launch of the permaculture communities first crowd funding portal WeTheTrees.com. Originally from the Pacific Northwest of the United States, Christian spends about half his time in SE Asia and half in the United States. After hosting Geoff Lawton at the Panya Project, and building the Panya Project into a thriving example of Permaculture in Thailand, Christian began teaching. 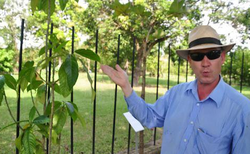 He is a natural builder, a food forest enthusiast, a musician, a certified educator and has extensive knowledge of tropical permaculture systems. 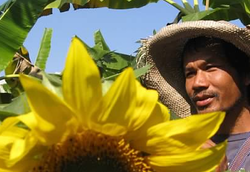 He has taught permaculture in Thailand, Malaysia, India, Taiwan and the United States. 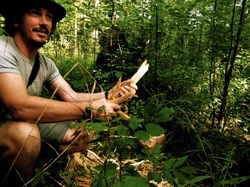 Ethan is a permaculture designer, teacher, and researcher based in the Hudson river valley. He studies and practices regenerative design in all corners of the world, from the wild apple forests of Kazakhstan to the tropical monsoon ecosystems of Thailand. He holds an MS in Eco-Social Design from Gaia University. Keep up to date with Ethan's research on carbon farming and ecosystem investing over at the Appleseed Permaculture Blog . Internationally known as a dynamic speaker, Dr.. Sahtouris is an evolution biologist, futurist, professor, author and consultant on Living Systems Design. She shows the relevance of biological systems to organizational design in business, government and globalization. She is a Fellow of the World Business Academy, an advisor to EthicalMarkets.com and the Masters in Business program at Schumacher College, overpriced affiliated with the Bainbridge Graduate Institute's MBA program for sustainable business. Dr.Sahtouris has convened two International Symposia on the Foundations of Science and written about the integral cosmologies. Her books include A Walk Through TIme: from Stardust to Us, Biology Revisioned, co-authored with Willis Harman, and Earthdance: Living Systems in Evolution. Eric has a PhD in plant physiology from Uppsala University in Sweden. He is also Associate Professor in Forest Microbiology. 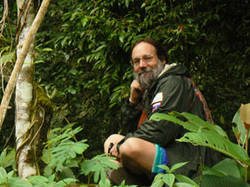 As a biological specialist he studies plants, birds, mushrooms, butterflies and all other organisms. Then he shares his knowledge with everyone else. Eric is in charge of research, strategic planning and is the main author of our blog Dokmai Dogma. Anders Lerberg Kopstad runs a farm holistically in Norway with his wife and children. Having decided it did not fit their holistic context to take on the main family farm they made a decision to start on another farm within the family and have been managing holistically for several years running primarily sheep and chickens. 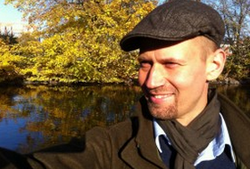 A certified Holistic Management trainer with the Savory Institute, Anders is passionate & committed to ensuring other's receive this vital understanding of how to move forward with their lives and enterprises in a way that accounts for complexities and minimizes unexpected consequences. We are excited to have Anders join us with his local experience that is relevant not just within our context here at Ridgedale, but for all people wishing to empower their decision making. Pee Eck has possibly the most beautiful Chinampas system in Thailand, integrating rice, fish and medicinal and perennial crops. Abundant and highly efficient, Eck also runs a community rice mill, E.M. plant and healing centre. In an agricultural model as old as rice farming itself, utilizing "wastes" of one form of production as a resource for another smacks of classic Permaculture Design. A visit to Pee Ecks site is highly recommended to Thai speaking visitors to this most beautiful Kingdom. Mikhael is pioneering the Lübeck model of natural forestry in Sweden. The Lubreck is based on the forest's natural ability to grow and rejuvenate themselves. A layered mixed forest, natural vegetation and "minimum interference" are key words that provide robust population and economy. Mikhael and his colleagues work with planning, stamping and advice under the Lübeck model over Sweden.